Registered Contractors who hold Certificates of Competency (CCs) in Miami-Dade County are required by ordinance to complete 16 hours of continuing education every biennium. Beginning with the 2014 renewal cycle, the required 16-hour curriculum topics must include one hour of Miami-Dade Ordinance Chapter 10 and one hour of F.S. 713 Construction Lien Law. This course has been approved by the Miami-Dade CTQB to meet the 2-hour Miami-Dade specific 2014 CE requirement. 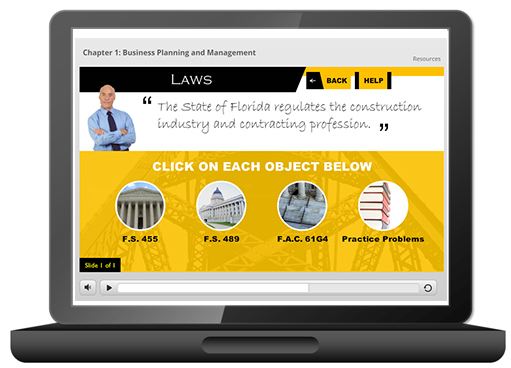 By Miami Dade Ordinance, contractors licensed by the CTQB can only take 50% of their courses online.